I just had to show you a teaser of the items I picked up on Friday at the garage sale by Lydia, the 93-year-old woman. It is a galvanized, square tub full of items. I still haven’t had any time to go through it. So every spare minute I have this week, you can bet I will be working on going through it. The best part is this isn’t it. I got several more items. So today I thought I would show you a couple other items. 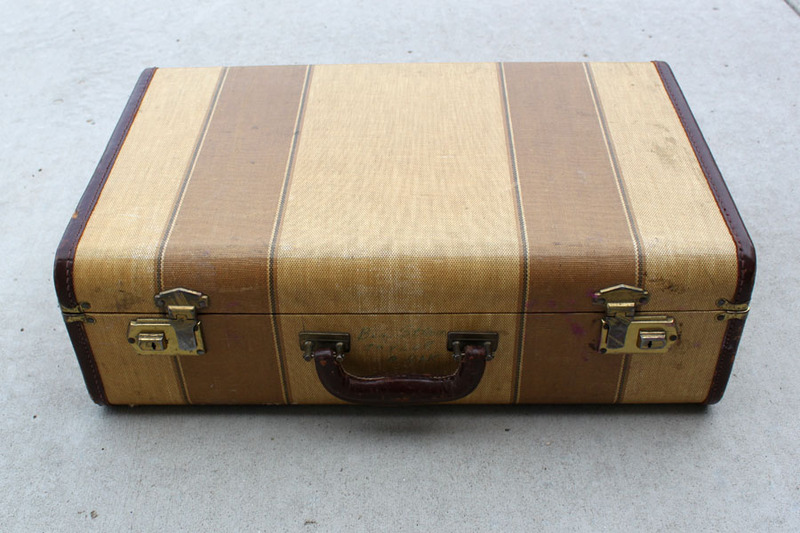 I got this suitcase from Lydia. You can’t see it, but her husband’s name is printed on the outside. She told me he died in 1992 due to complications of MS. 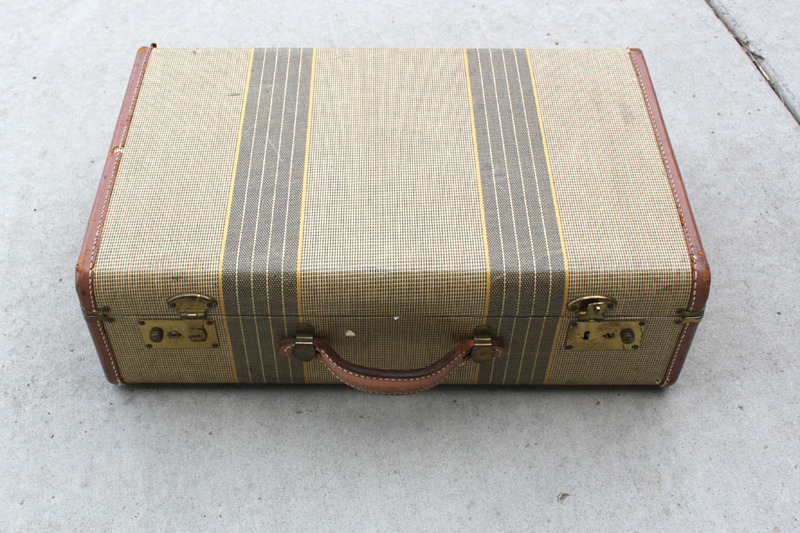 I have listed a couple of suitcases and they have sold well, so I need to get this one listed. 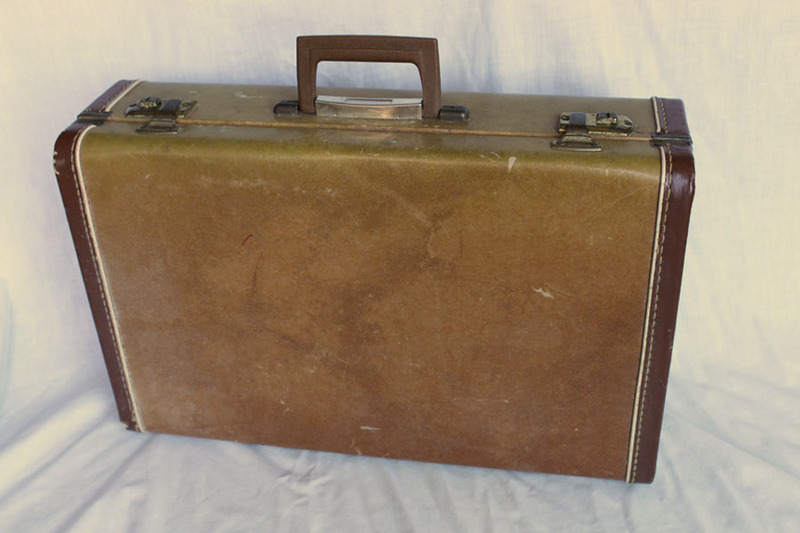 I got this suitcase about 10 days ago at an auction sale. It even has the key, but it does have a musty smell, so I am working on airing that out. Got to get this one listed. So taking photos of these reminded me of one I got several months ago that got put aside. Yep, need to get these all listed. The hard part is finding boxes large enough to ship them in. I just had to buy Lydia’s magazine rack. Love the mod look to it. I am still not into gold, but I know gold is making a come back. 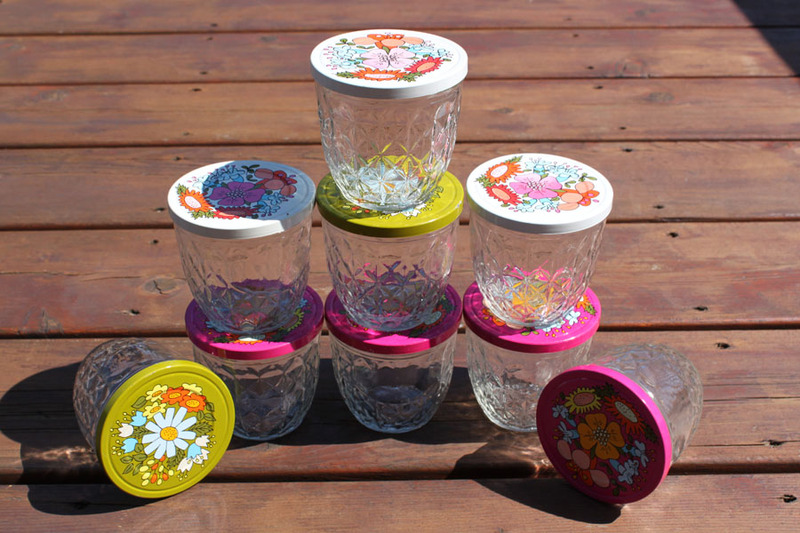 I listed these Bell Quilted Crystal jelly jars that I found last year. I figured canning season is coming, so I best get them listed. They are from the 1970s. 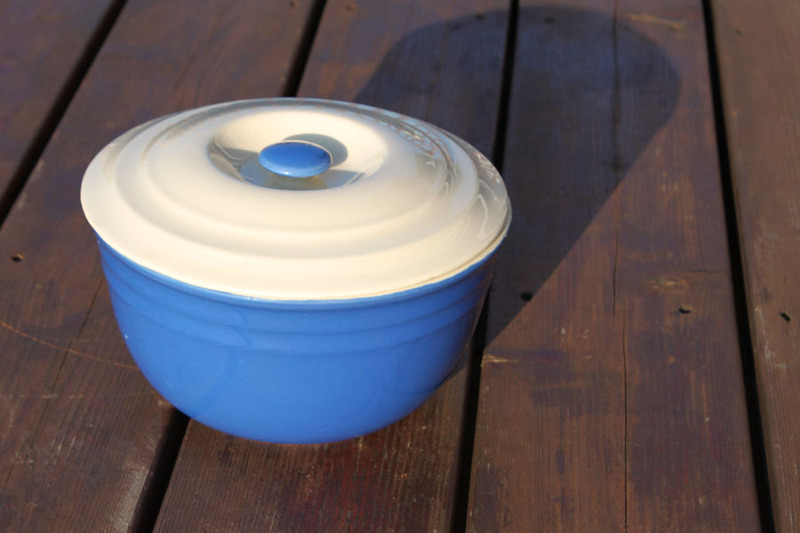 I fell for this blue stoneware bowl with a lid. This was an auction buy. 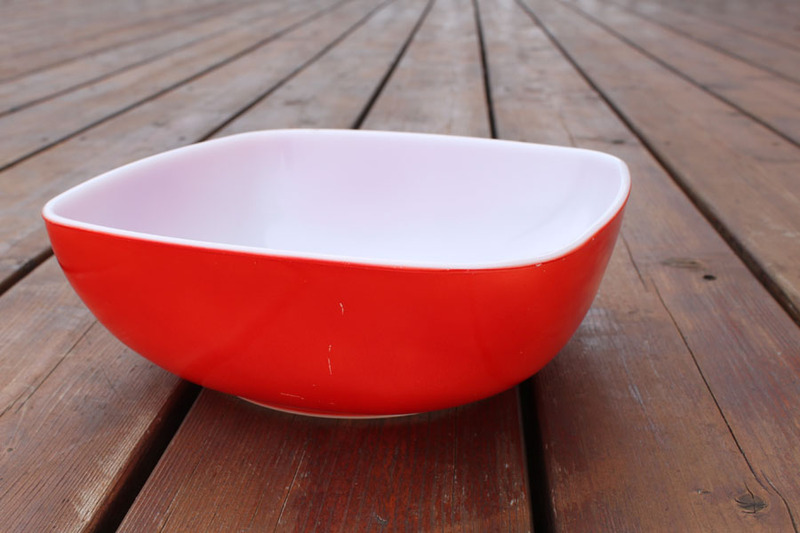 This Square Red Pyrex bowl was a hidden treasure in a Choice Box at an auction sale. The item I was wanting wasn’t what I thought, but this guy was at the bottom. Love happy surprises like that. Pyrex has sold very well for me. Just sent off the Pink Pyrex bowls I showed you early this month to someone in Montana. The woman bought it for her sister’s bridal shower who is into vintage and pink. 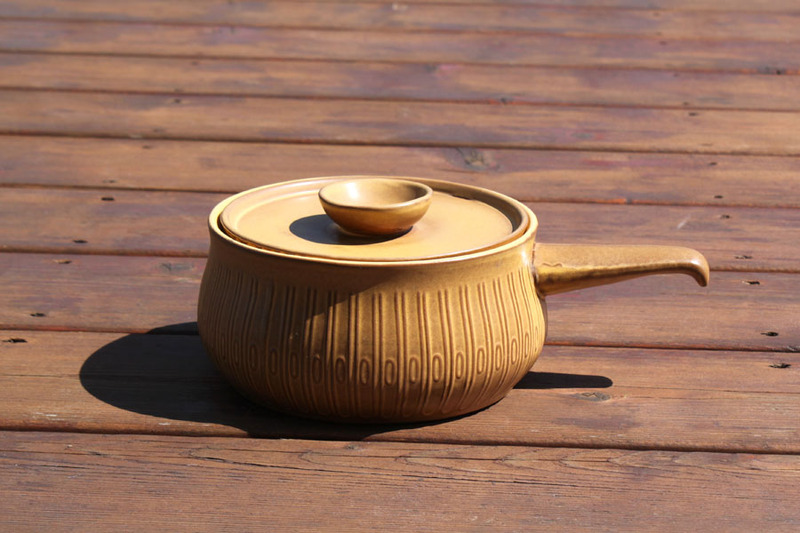 Look at this Red Wing Pot. This color does not sell well for me, but I love Red Wing items so I took a chance. 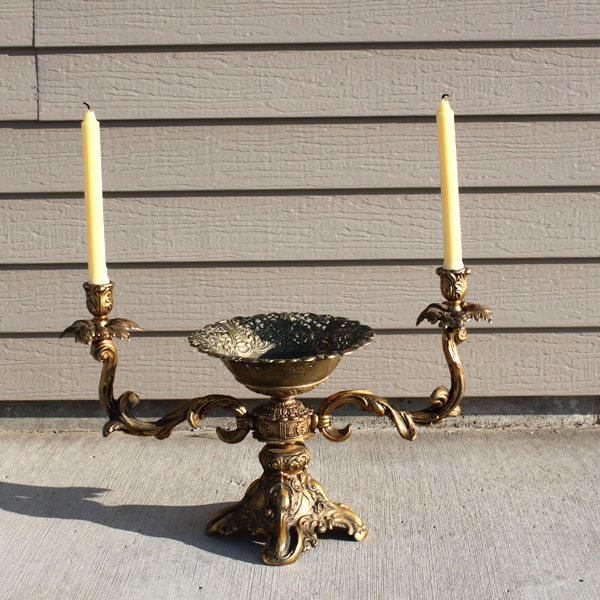 Look at this unique Brass candelabra. It is so heavy I love the bowl in the middle. If it doesn’t sell, I might keep it and spray paint it. Is it a crime to paint brass? I will finish this post with this last item for today. 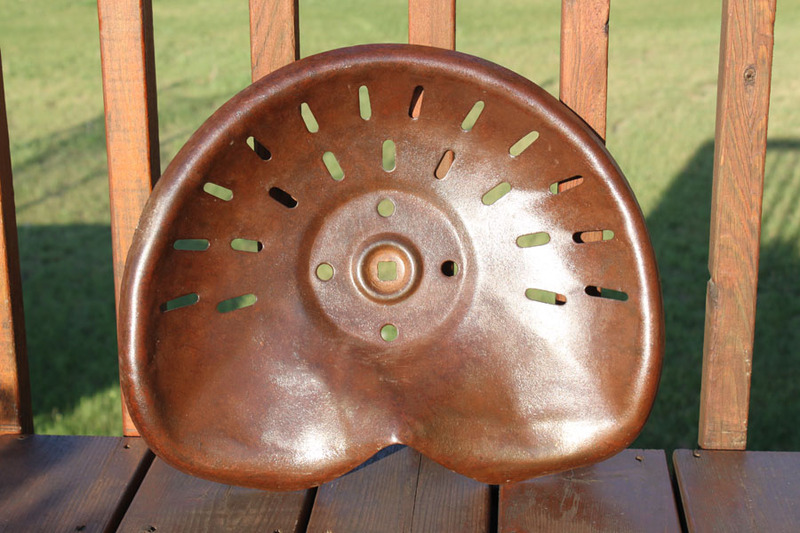 I love this cast iron implement seat. I do not know if it came from a tractor or something like a rake, but I snatched it up at an auction for a steal. I am looking forward to showing you all my goodies as I go through them. Did you find any bargains this week? 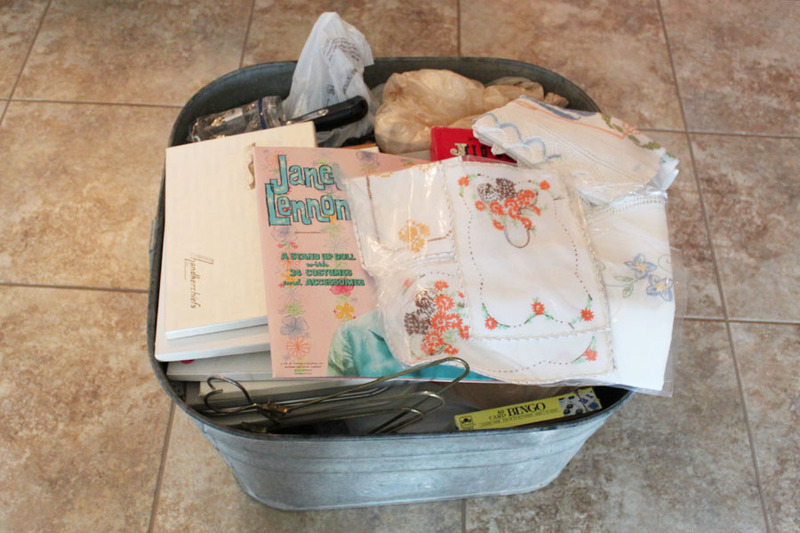 This entry was posted in Junkin' Pickin' Finds and tagged magazine rack, Pyrex, Red Wing, suitcase by Karen Grosz. Bookmark the permalink. Lots of good goodies! The jars are so pretty and the tub is fantastic! 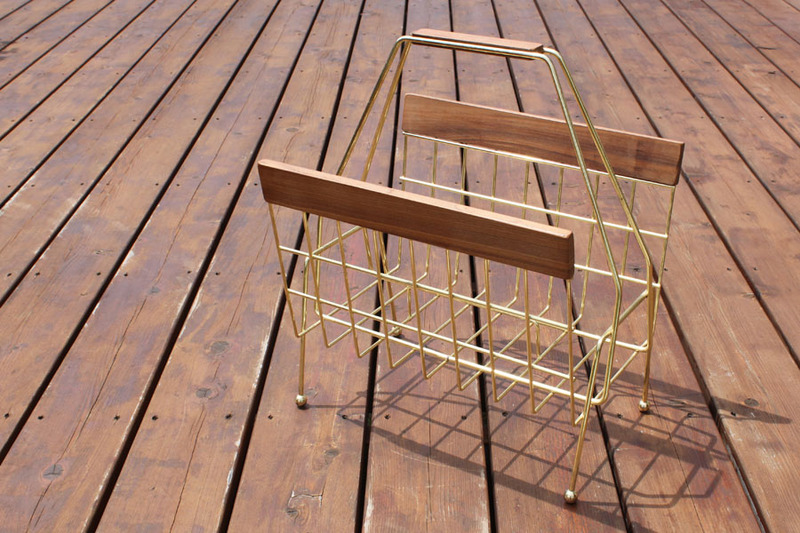 Have you seen those magazine racks turned into a planter? So neat! Thanks so much for sharing at Cap Creations. Yep, lots of goodies. I will have to do a search to find a magazine rack turned into a planter. Great idea. Me either, I think I have forgotten some of the items. I’m so inspired now. There are so many cool thrift stores and estate sales near here and there are always so many treasures. Great job! I say go check one or two out; all you have to lose is a llittle time and gas. Have fun. What fun treasures! Great finds! Thanks for sharing at TTF last week. I hope you are having a wonderful day! 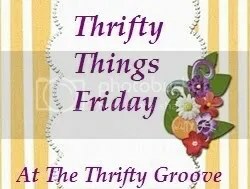 Thanks, enjoyed linking up at the Thrifty Groove.